This article will attempt to collate all the relevant information that you need to find out about the best removal companies in East Sussex. 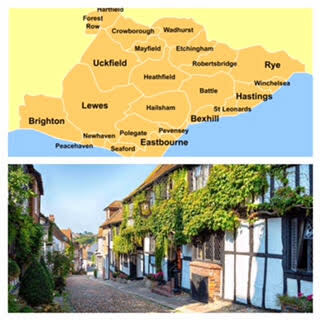 There are many different companies in East Sussex that perform removals, packing, storage and all other manner of logistical services. If you like in Sussex moving should be easy with all of the options on offer. You will have heard of most of the national companies for example Pickfords and GB liners who moves house and offices alike. They have an excellent premium service that you might have to pay over the odds for but for this extra money you receive some extra services, insurances and assurances. They work to international standards including export moves and export packs. If you’re moving home, you will also want to check out our removals Brighton page. A lot of smaller companies will not be able to handle long-distance moves as their fleet is too small. If their vans breakdown on the road that is half of their fleet of the road, so for this reason you will often find that they do not offer this kind of service. The larger companies have so many vehicles that there is often a surplus. This is often what you are paying extra for. If a van breaks down there will be another one two or three waiting to take its place. as mentioned this is massaged into the price of your quote. This service will not have any of the personal touches on a smaller or medium-size company, and customers often find that they don’t have the same company interface and relationship ahead of the move. Big companies approaches tend to be quite standardised and apply a general “one size fits all” formula to moves, whereas local and smaller companies offer a more tailor made, customer friendly service. Their employees only have a vested interest in the well-being of your belongings and your move. You may find them disinterested and impersonal. You may not appreciate impersonal people handling your personal belongings. They will likely be total strangers during your move and you will probably not know them any better by the end of the move. The same teams probably do not work together all the time so if something goes wrong on the move no one will really have to be punished. Again, the personal touch maybe not quite there as there is likely to be a high turnover of removal porter staff. The managers will probably stay the same but the staff will come and go. Being a small cog in a large firm does not bring about the greatest work ethic. However, you will get a larger fleet of vehicles to choose from and the companies are usually willing to go longer distances and probably have good insurances. They will go extra mile for you. Their employees will probably be friends or maybe even be relatives of the owner or managers so they really do care about the treatment of the customer. If something goes wrong and someone is blamed the removal men will feel personally responsible. You will be able to reach your removals team manager day or night. Their phone line will tend to be their personal line as well so if there are any last-minute problems or changes you will be able to contact your removal company is much easier and quicker. Generally, the service will be more personal and usually more approachable. The smaller fleet means that they are less prepared for long distance moves say to Scotland et cetera and if a vehicle breaks down you could be caught short. However the overheads for these types of companies are low and this will be reflected in the price and he will get a very high level of personalise service. This guide is also useful if you are looking for office removals in Brighton. These one man band type companies have come a long way over the years. And the more established ones will be able to give you a premium service. However their vans are most likely to be small and cheap to run so if you are looking to move more than just a few boxes and a couple of pieces of small furniture this may end up costing you more money. If you cannot fit that last chair in you will have to go and deliver the first load and then drive back to collect the chair after unloading the first load which all costs extra time and money. Larger companies like ours also provide a man and van Brighton service available so get in touch now! if you’re moving house or business we are the leading Brighton removals company, providing efficient, safe and courteous removals services to the South East. If you want any more in depth info about removal companies in East Sussex then check out our choosing a removal company page. 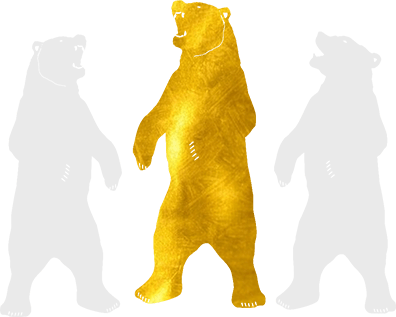 © Gold Bear Removals 2016 - All rights reserved.